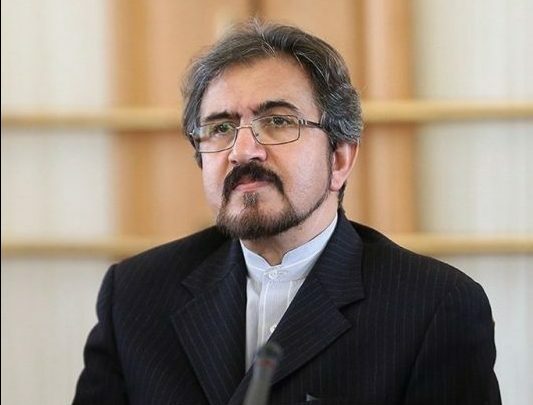 Iranian Foreign Ministry Spokesman Bahram Qassemi has urged the Arab League chief to avoid making divisive remarks under the influence of certain regional countries. “I remind you of the fact that you are the secretary general of the Arab League not a mere promoter of the policies of certain states with special behaviours and manners which stand in contradiction with the fate and interests of Arab and Muslim states of this sensitive region of the world,” he added. “The Islamic Republic has established balanced and wise relations with most regional states and neighbours based on cooperation, dialogue, common interests, mutual respect and non-interference in each others’ internal affairs with due attention to the rights of neighbourliness and regional security, stability and interests,” Qassemi said. This is a fundamental and long-term policy which Iran has pursued so far and will do so in future, he added. Qassemi further noted that Iran has stood by regional states more firmly than ever in the times of need and when requested by them, and has constructive exchanges with their nations and governments. He said Iran believes the main audience of Gheit’s remarks should be the very states which spend billions of dollars each year from their nations’ wealth to purchase security from extra-regional states. “But what they achieve at the end of the day is just insults and a growing concern over their future. As a neighbour and Muslim state in the region, we are deeply regretful to see such a situation has dominated the region,” he said.